Minister of Petroleum, Emmanuel Armah Kofi-Buah, has urged Oil Marketing Companies (OMCs) to be sensitive in setting the price of petroleum products, acknowledging that only they have the power to determine prices of the commodity. He said information reaching him indicates that some OMC’s have started abusing the deregulation exercise introduced by government – instead of complying with the global price they do not do so. “In determining the price, you must be sensitive to the people of Ghana and that the National Petroleum Authority (NPA) should make sure systems are put in place to ensure that the right things are done” he advised. “Deregulation exercise was introduced by government to assist the OMC’s to formulate prices of petroleum products by themselves based on global trend” he said. Unfortunately, he said when the prices of petroleum products go down at the global market, the OMC’s prices remain the same – they do not reduce theirs, this is cheating and it defeats the purpose of the deregulation exercise. 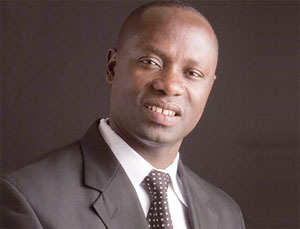 The Minster was speaking at NPA’s Consumer Week 2012 at Axim in the Nzema East District of the Western Region. It was on the theme “Petroleum products are safe, use them safely. According to him, the issue of safety in the use of petroleum products has been high on the agenda of government for years and the Ministry together with NPA, have consistently pursued educating Ghanaians in staying safe while using these products. “The Ministry of Petroleum is equally concerned about the incidents of petroleum related fires and other safety issues arising out of the handling of petroleum products and we therefore endorse NPA’s initiative to educate citizens especially our fisher folk on using fuel safely” he said. He said there is the need for the individual to understand how these products are handled- this will enable us to curb the incidents of petroleum related accidents -Key questions we must ask ourselves as consumers using LPG, Petrol, Premix and other products, is whether we are too much in a hurry when handling these products that we completely fail to take any safety precautions or we are becoming so comfortable in the use of these petroleum products that we misapply the safety rules. “When we go to our homes and kitchens, how many times have we not seen people put stones on the head of LPG cylinders that leak? The cost of replacing a faulty regulator on a cylinder, is certainly insignificant compared to the cost to life and property if an accident occurs from this leaking cylinder” he added. He advised that the right processes and procedures must be followed to ensure safety at all times. Dr. Moses Asaga, Chief Executive Officer of NPA said for the past few days the NPA has engaged various Landing Beach Committees on the safe use of petroleum product. “The team from NPA met over 2000 fisher folks from landing areas such as Shama, Aboadze, Funko, Sekondi, Takoradi, Dixcove, Half-Assini and Axim” he said. He said statistics obtained from the the Reconstructive Plastic Surgery and Burns Centre of the Korle-Bu Teaching Hospital portrays a disturbing trend where 35% of all burns recorded are petroleum products related since 2011 and the number keeps on rising every year. He pointed out that NPA as a regulator of the petroleum downstream industry expects that the public understands the risks and dangers of not using petroleum products safely and discourages any unconventional use of the products without seeking expert advice- safety is a shared responsibility. In the past one year, he said the NPA has gone through a major revolution which has highlighted the need for a more strategic approach to industry issues such as the revision of the procedure for granting permits for the siting of petroleum products retail outlets to reflect a multi-stakeholder approach. This approach, he noted has proven to be more efficient and collaborative in ensuring that all license conditions are adequately met. Prof. Ivan Addae-Mensah, Chairman of NPA said the roles of chiefs and elders in the various communities should be active – you should ensure that health, safety, security as well as environmental issues are adhered to. “Many households do not take safety issues seriously – do not use cylinders which are more than 10 years in your home, fisher should not put premix fuel in their rooms”, he said. He advised the individual to keep 500 meters away from fuel tanks which have been involved in accident- siphoning of fuel with containers and jerry-cans can be dangerous to your health.